I enjoy roast beef, but I was always intimidated about cooking it. I don't have great instincts with beef, and a dry tough hunk of beef would be a waste. 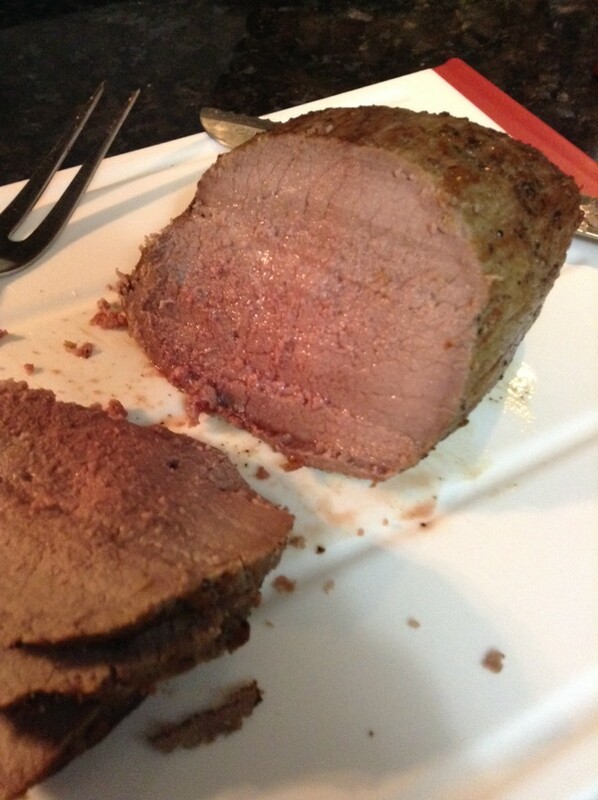 The "Science of Haute Cuisine" MOOC included a recipe for roast beef from America's Test Kitchen. I was attracted by the promise of tender roast beef. I ended up cooking the beef more than I intended. I could only find a small amount of the indicated cut, and I didn't adjust the time enough. However, as a testament to this recipe, it still turned out really tended. By cooking at 220F and below, the beef did not get dry and tough. The only thing I would change would be to reheat the beef slices before serving. Also inspired by the course, I made a coconut flan. It turned out tasty, but way too little solidified. 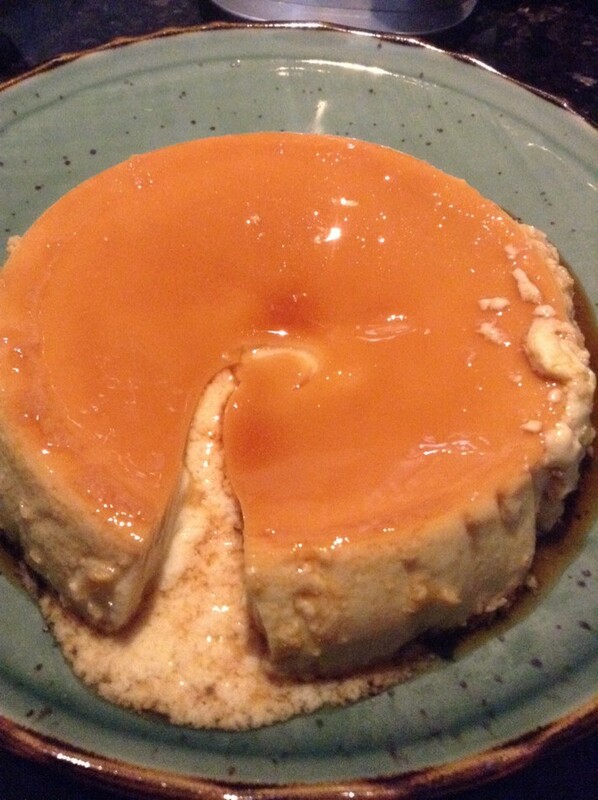 The course homework included an optional recipe for flan using milk and cream. A fellow student pointed me to Adrian Ferrer's recipe for coconut flan, which uses coconut milk. I started to worry about the recipe when I couldn't make the caramel topping. Fortunately, I had a jar of caramel topping in the cupboard. That roast looks pretty good. Thanks. I wanted it a little more pink inside, but it was really tender.